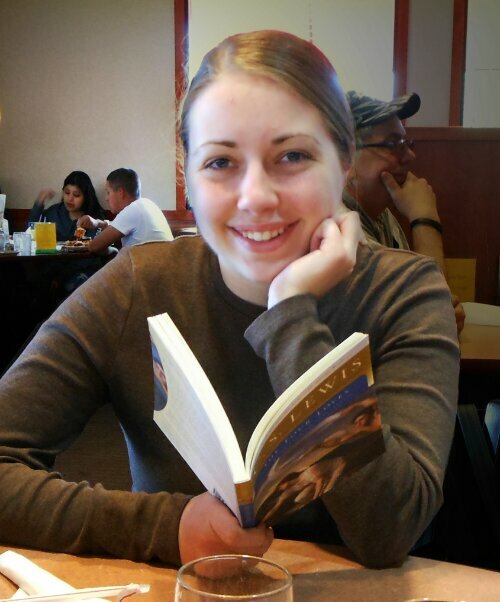 Author Scoop ~ Chatting Moments With Amber Stokes & A Giveaway! 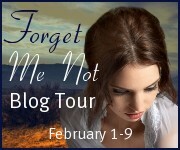 The day has finally come that we begin the Forget Me Not blog tour, and To Be A Person has the honor of hosting Amber Stokes, my friend and the author of this fabulous read, on the very first day! How cool is that?! So, I’d like you to join us below for a fun chat. I promise, you won’t get bored! 1. Hello Amber! It’s nice to have you join us today! Could you tell us a little about yourself? And is it coffee, tea or choco? A – It’s a pleasure to be here, Miranda. Thank you for having me! I’m a self-published inspirational romance author, as well as a freelance editor, publicist, and blogger. I’m taking the whole “facing the world” thing one day at a time—and in the meantime, I’m enjoying navigating the wild and wonderful world of book publishing. When I’m not on the computer, I enjoy reading (of course!) and spending time with my family. And definitely hot chocolate for me! I do occasionally enjoy tea (hot, not cold), but I’m currently not a fan of coffee. So tell, when did you first discover your love for books, and at what point in your life did you realize you were born to write? A – My love for books came very early on. My mom used to read to me, and I took to books like—well, a duck to water, or something else just as cliché. 😉 By early elementary school, I was in love with stories (I had a particular fondness for the “Disney Girl” books by Gabrielle Charbonnet). When I discovered the joys of Christian romance fiction a little later on (via my elementary school’s library), with books like Port Royal by Linda Lee Chaikin and Treasures of the North by Tracie Peterson, I was hooked. For my own writing, I took to poetry and eventually pursued fiction—but when the idea for Forget Me Not took root in high school, the course was set. And now I’ve come full circle in at least one regard: one of my elementary school’s former librarians told me recently that they hope to get Bleeding Heart into the library, complete with an Accelerated Reader quiz. I can only hope that if it all works out my debut might encourage another young girl to fall in love with the written word! 3. Wow! This is amazing! To have one of your books in your former school’s library should be one of your dreams come true! The kids hearing that it was published by a former student will definitely inspire someone. Well done! 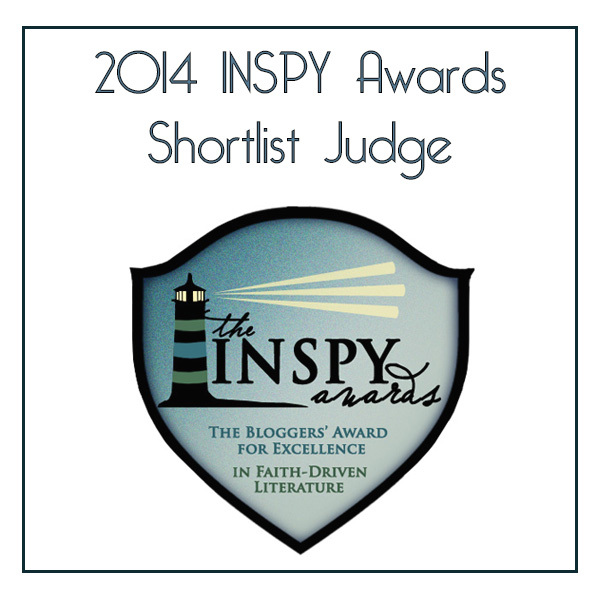 Linda Lee Chaikin was also one of the first authors I discovered in Christian romance fiction. Her book Silk was impressive. Read it twice, I think? It’s good to know you were inspired by her too! What writers have influenced you most, and who would you say is your mentor—why? A – Well, those three authors I mentioned in the previous response (Gabrielle Charbonnet, Linda Lee Chaikin, and Tracie Peterson) obviously influenced me a lot as a young girl, showing me that stories can be magical, history can be fascinating, and romance can be exciting and beautiful. Some writers say they’ve been called by God to reach out to the broken-hearted through their work, others say they’ve been called to reach the lost. Have you been called? If yes, then to whom? A – I believe God calls all of His followers to reach out to others. I’m not sure I’ve sensed a call to minister to a specific group of people… I guess it’s more that wherever God leads me and whatever I’m doing, I know I need to love those around me. 🙂 For now—with my blogging, editing, and writing—I have a certain circle of influence, and I just hope that the work I do and the things I write remind people of God’s goodness, healing, and hope. 5. Sweet! And I get your meaning on that circle of influence thing. You’re an author, book reviewer, freelance editor/publicist, and blogger—that’s a lot on your plate! How do you keep it all balanced, and how do you unwind after a hard day’s work? A – I’m not sure I always keep it all balanced as well as I ought to. *chuckles* It’s a struggle, for sure, to prioritize and to keep focused on the things that need to be done. And right now, with these tasks as my current “job,” I never really feel like my day is done, you know? I’m a night owl, so my writing/editing/reading/reviewing/blogging/marketing usually extends late into the night in some form or fashion. Then I sleep in, LOL. As for unwinding, I love watching movies and reading (of course!). Playing the Wii with my family or watching a show with them is always a fun way to spend the evening. And when I actually get out of the house, I do love being in nature. I live in a gorgeous part of the world, with the Pacific ocean and redwood forests right nearby. When I say “exotic”, what part of the world comes to your mind? Is it your dream vacation spot as well? If not, what is? A – Probably Hawaii or some other islands. I used to be completely against the idea of actually visiting Hawaii, though, because the islands are volcanoes, for goodness’ sake! LOL. (After watching Dante’s Peak in middle school, I was completely freaked out by the idea of volcanoes…) Now, I think I might enjoy a trip there. It does seem like a beautiful place! Hey! This is an interview of a romance author, right? This should allow us get to know some romance bits about you. 😉 Could you please, kindly and passionately describe to us your dream date? A – OK, I’m going to try to be slightly realistic and plan this as a local dream date (instead of, say, suggesting a train trip across Canada—I’ll save that for my dream honeymoon ;)). My dream date would be an all-day event. We’d begin the day by driving up north a ways to Crescent City on the coast, where we’d visit Starbucks. (I’d get a hot chocolate and petite vanilla bean scones.) Then we’d backtrack a bit to the Trees of Mystery, where we’d take our time enjoying the sights, riding the Sky Trail (gondola), and hiking back down. We’d hold hands, of course, and have people take our picture together at spots like the Cathedral Tree or the carved redwood heart. If we were feeling especially ambitions/rebellious, we’d carve our own initials into the heart (which is covered with the initials of many couples who have come through before). We’d buy each other little mementos at the gift shop, then head across the street to the Forest Cafe for lunch. Oh, and we’d have to get a picture with Paul Bunyan before we left! After that, we’d drive back down the coast until we reached Trinidad. If we were up for it, we’d hike Trinidad Head, or we’d just view the ocean from the pier. Then he would drop me off at my house to get dressed up. I’d wear my gray dress, or perhaps my purple and black one, if I was feeling flirty. 😉 My mom would help me with my hair, because goodness knows I don’t currently have the skill to make it curl at all! My dream boyfriend would return to pick me up, and we’d go have dinner at the Plaza Grill or Abruzzi’s. Either way, we’d have to have the chocolate paradiso for dessert, because it is the most amazing thing ever. Finally, he would drive me home and walk me to the door like any gentleman should. We’d both declare how wonderful the day was and make plans for the next date, because after a date like that (with the right man), my poor heart would need something else to anticipate! Trinidad? Gondola? Chocolates? Yes, yes, yes!!! The only thing missing there are roses—red roses. And puh-leaaase, sign me up for ambitious and rebellious any day! Amber, it was such a joy having you here today! I had so much fun. Let’s do this again and again! Folks, you can learn more about this book, the series, and the blog tour on Amber’s website, the book’s website, and the Hearts Spring Series website. I hope you had fun with us today. I certainly did! Amber’s hosting a Rafflecopter giveaway and you can enter by following the link for a chance to win an entertainment package that includes signed paper back of Forget Me Not (to be sent when the paperback becomes available), The Journey of Natty Gann on DVD, and “Barton Hollow” by The Civil Wars on CD. This giveaway is open to US residents only. Miranda, I enjoyed meeting you and learning more about Amber. Thank you for the interesting post. I have her books on my TBR list, and would love to read them. The covers are beautiful and the story lines look great. Isn’t Miranda great? 🙂 And thank *you* for your interest in my books, and for checking out this interview! Jackie, thank you for stopping by! I’m glad you enjoyed the interview. It’s never a dull moment with Amber. 🙂 And I agree with you; the covers are so beautiful. Lena did a marvelous job putting them together. I hope you enjoy the books. Bleeding Heart was a refreshing surprise, and Forget Me Not didn’t disappoint. Once again, thanks for stopping by! 😀 Blessings to you! Yay for trains! And I’m not surprised you’d want roses on your dream date, courtesy of To Die Once. 🙂 Thank you for your encouragement, and for this interview! Thank you for all the kind words, Amber! *blushing* It was fun putting together the questions, and the answers were even more fun! 😀 And yeah, I adore trains and red roses! So sweet!! Especially the last question and Amber’s answer. Miranda and Amber, in case no one told y’all, you both are truly awesome ladies. 🙂 Great interview! I’m glad you enjoyed the interview. And yes, that last question and answer were the best! And I thank Amber for indulging me. She certainly made it interesting. Isn’t she awesome? Thank you for the sweet words, Sandra! I’m excited for Forget Me Not too, and even looking forward to Morning Glory! Can’t wait for it’s release. 🙂 And oh my, I can only imagine that your date to Trinidad must have been so divine! I read and loved Amber’s first book. I know this one is great too. Good books make me happy!!!! I’m so thrilled to hear that, Melanie! Good books make me happy, too – and I’m honored you would consider mine to be among them. 😀 Happy reading! Hello, Girls!! Sorry to be late in posting this . . . Congrats, Amber on releasing your new book!! Such an accomplishment. No doubt, there will be many more to come! Miranda, you are such a doll to be part of all these blog tours. You always have such wonderful comments! Not late at all – the tour is still in full swing! Thank you for the kind words, Cindy – I so appreciate your friendship and encouragement. 🙂 And isn’t Miranda awesome? I hope you’ll get to hear about her story very soon! Love your listing of author inspirations, too, Amber. I know exactly what you mean! The variety of promotion just makes it sweeter and richer! it makes what you find on the other blogs a pleasant read (and surprise some of the times! 😉 ). Aww, I’m so glad you both liked the variety! I confess the guest posts were a little stressful to get together (mostly because I tend to procrastinate, LOL), but I still had fun with them, and I love doing interviews. 🙂 Thank you both for following the tour and supporting me! And there are some wonderful authors to inspire a writer, aren’t there? Glad you liked my list, Rissi! Hey, Miranda and Amber. The level of promotion IS fabulous, same as the variety which as Miranda says makes it exciting and fun to visit the tour stops. 🙂 And Amber I know what you mean about the guest posts – Q&A are always easier since there is a question waiting to be answered instead of an entire article in need of inspiration. 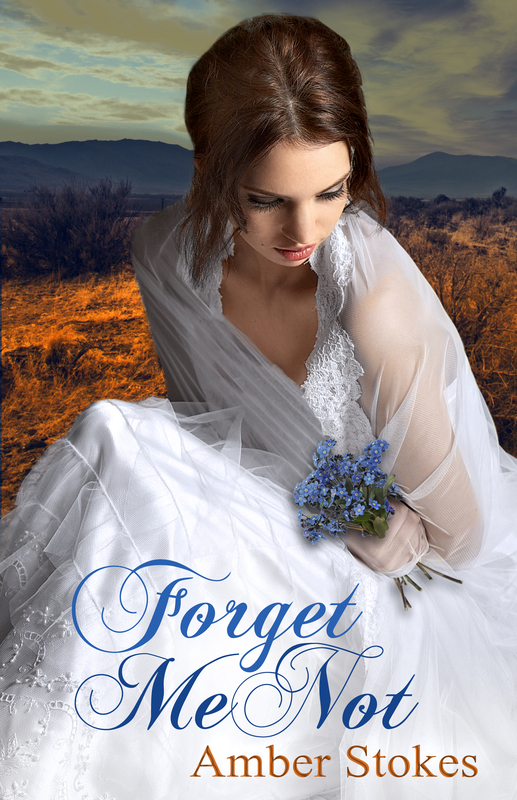 Next PostBook Review ~ Forget Me Not & A Giveaway!